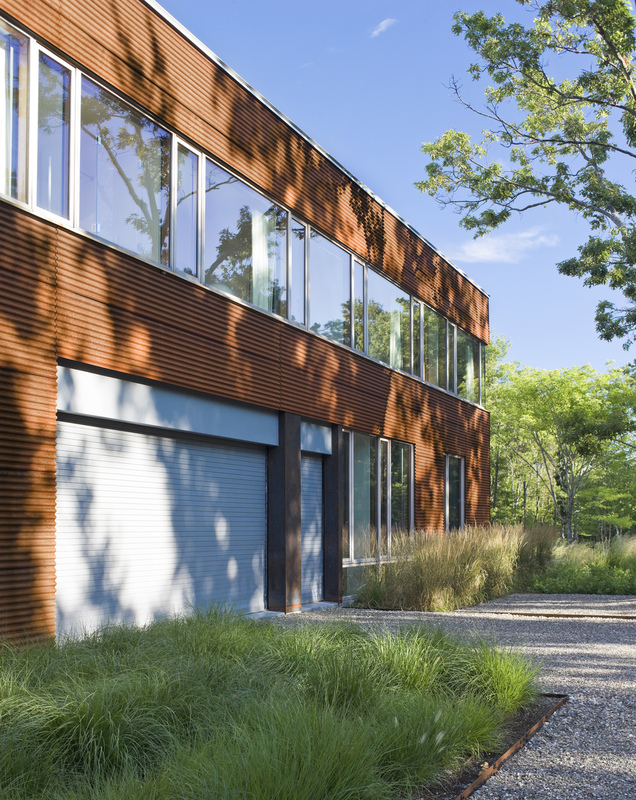 The Dutchess County Art Barn, a weekend residence and 110-acre estate in Millerton, New York, features a material palette and programmatic layout inspired by the surrounding natural landscape. 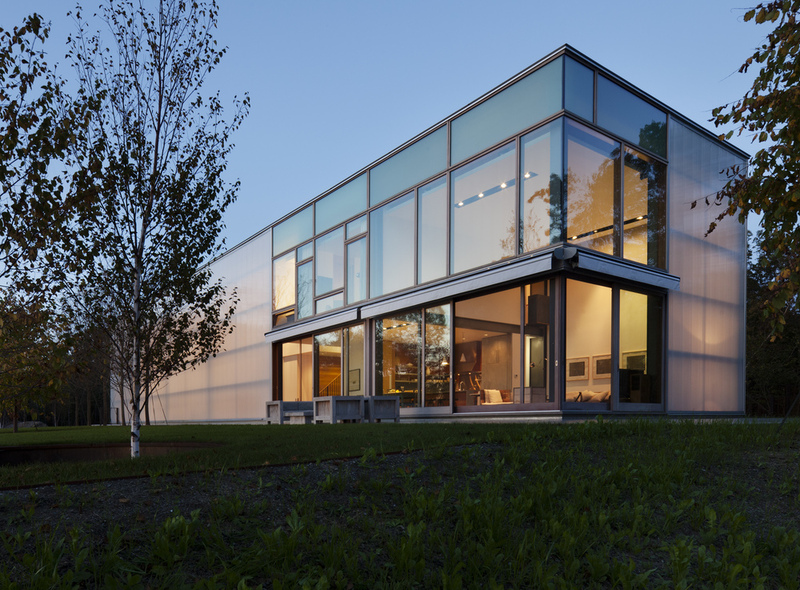 The primary expression of this project was the use of a prefabricated agricultural building as a shell. 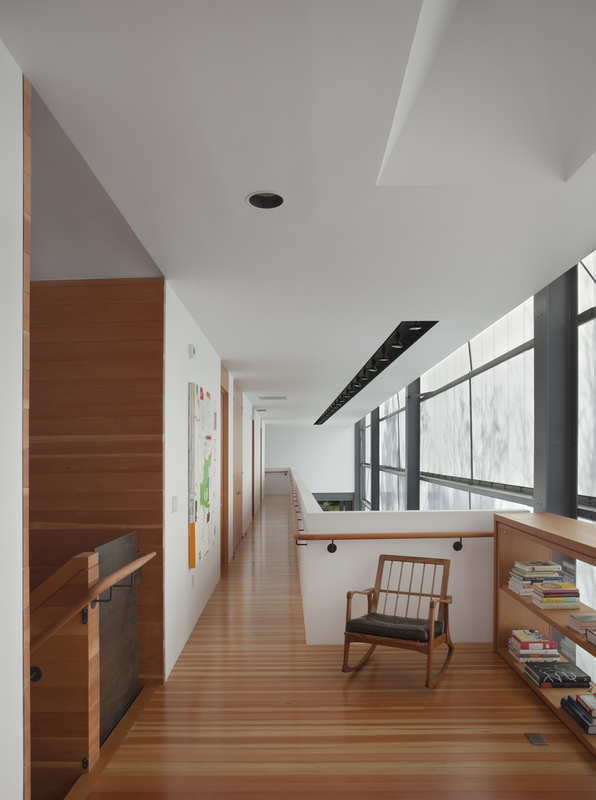 The project sets a residential interior into this rural loft space. The journey to the house begins at the base of a hill, continues upward through a winding wooded road, and terminates just below the summit, the site of the house. 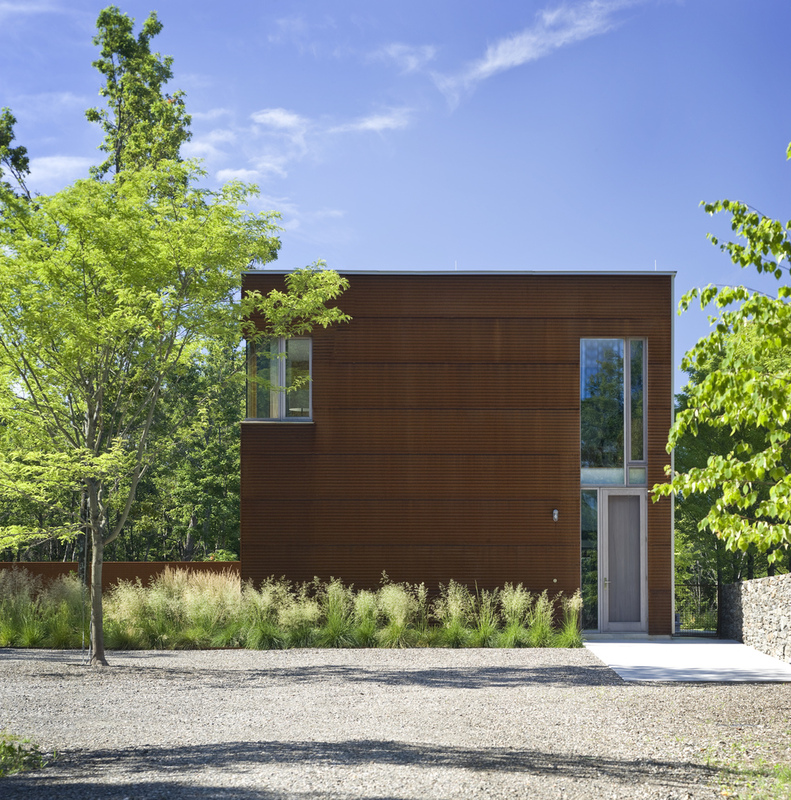 The “barn” is made of two materials: corrugated Cor-ten steel and polycarbonate. 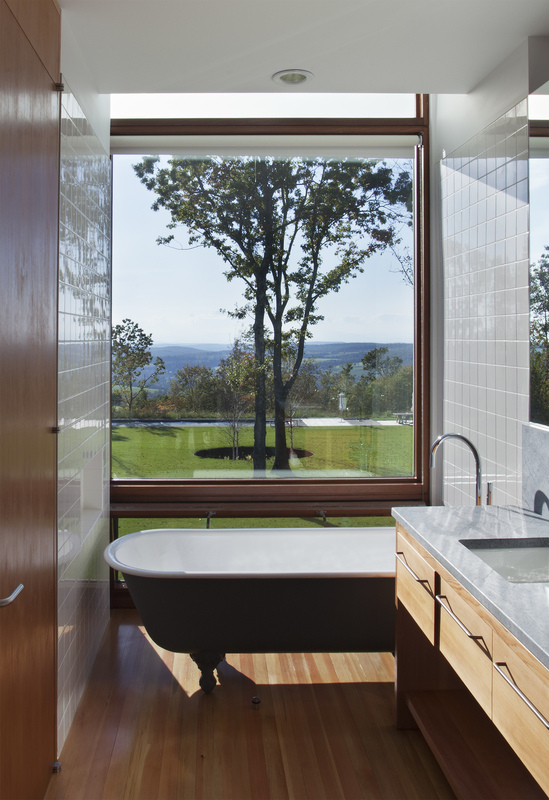 Mahogany-framed windows and curtain wall contrast the otherwise industrial material palette. 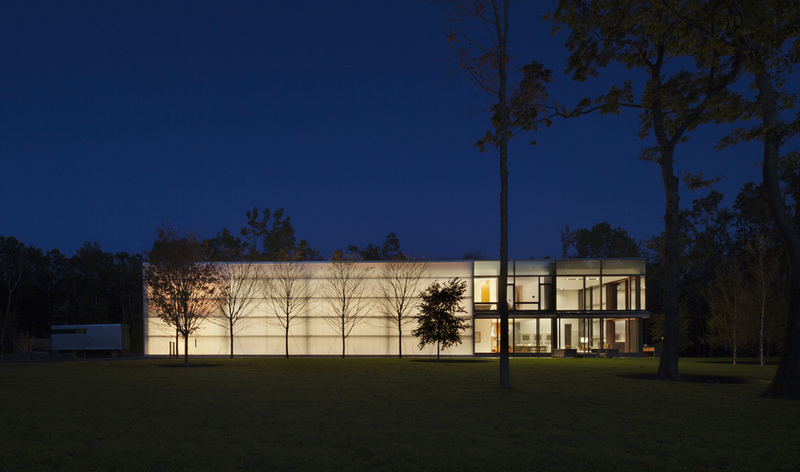 The polycarbonate panels facilitate the diffusion of light into an expansive art gallery. By day, nearby trees project their dynamic silhouettes onto these translucent walls which, by night, are set aglow.